... I think, "I could do that. I could totally do that. I wonder if that will happen to me one day. If it did, I bet I could land a plane. Definitely." 2. 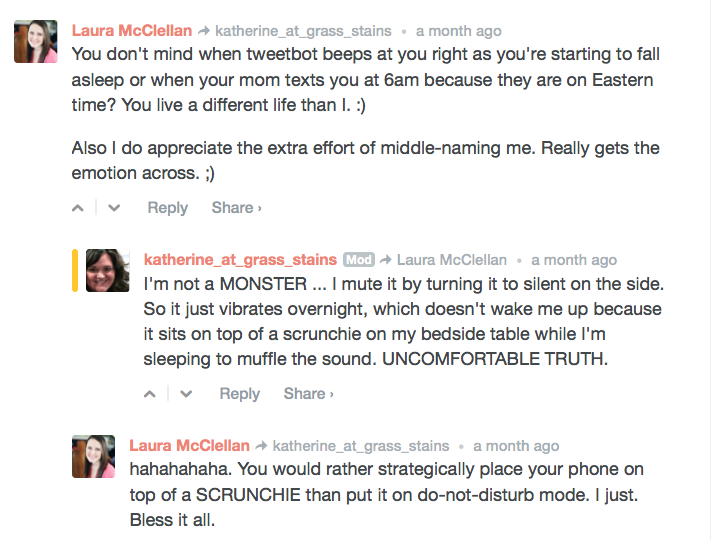 I feel like if I don't publish a post, I ruin several hundred people's first cup of coffee of the day. It's a lot of pressure. This is not a completely unfounded paranoia, by the way. People have actually said that to me. 3. 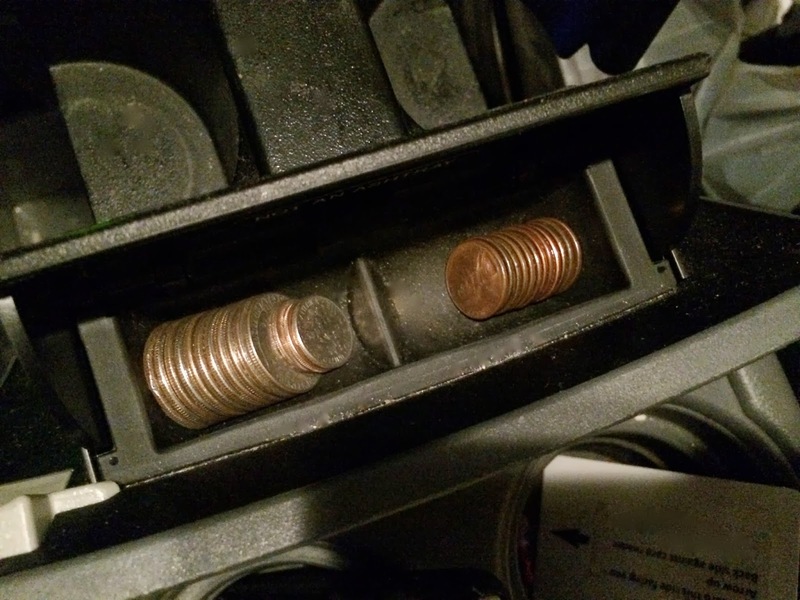 I thought everyone organized their Loose Change Compartment in their car by silver vs. copper, then by size, until one of my co-workers saw mine and asked, "You DO know you need professional help, right?" 4. When I walk up to my desk and someone's sitting in my chair talking to a co-worker, I feel like Goldilocks. Or Kevin Costner in Field of Dreams. "YOU'RE A GUEST IN MY CORN." I want them out. Now. 5. Instead of using the Do Not Disturb feature on my phone, I use a scrunchie as an iPhone nest on my bedside table. SCRUNCHIES ARE SO MULTI-FUNCTIONAL, Y'ALL.